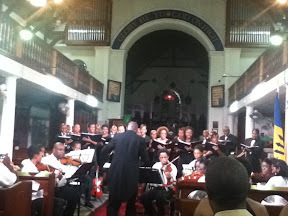 The 100 Voice Project is a music festival created by Ryan Boyce with the aim to showcase the abilities of singers and chorales in Barbados and the wider Caribbean. Ryan is passionate that the Caribbean offers a hub for persons on either side of the Atlantic to join in this experience. It is aimed to bring the best singers together in one place to learn from each other and collaborate in their art. We do need to do more of this in the Caribbean. To share and grow with each other. Corey Graham 2.0 sharing his Caribbean Entertainment experiences with you. Including live blogging from events, reveiws, sharing News, opinions and ideas with you! Be the first to know about CG 2.0 latest projects.